-This may be obvious, but I’m saying it anyway: wear comfortable shoes and dress for the weather-this is a rain or shine activity. People gotta eat, even in the rain! 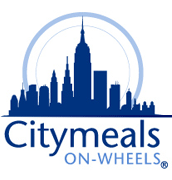 -Citymeals offers other volunteer opportunities that aim to help home-bound seniors, such as phone chat, letter writing, and friendly visiting, all with varying time commitments. Check out their website for more information. You can also email Encore Community Services, if you’re interested in volunteering directly with them; they have many programs for seniors, including lunch service during the week at 11 & 1230. 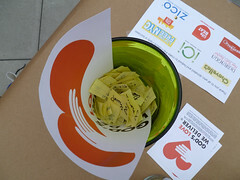 -I was pleasantly surprised with the crowd Street Project attracted. 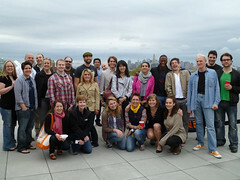 True to their website, it was a good mix of male and female young professionals. You’ll have an opportunity to meet people before going to deliver, and get to know your partner (mine was Ori, orignally from Israel, now a PhD student here in New York-thanks for pulling the food, Ori). I’m looking forward to future projects with Street Project, which are mostly on Saturdays and Sundays. -This is a great activity to do with a friend or two, or even, on a date. I know it sounds weird, and I’m not sure if I should be advocating dating on a volunteer project, but it just seemed like a nice way to get to know someone while working together to get the meals delivered. Or you can just go out to dinner…that works too. 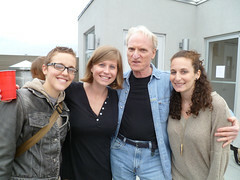 ← Dancing with Seniors.. kind of.